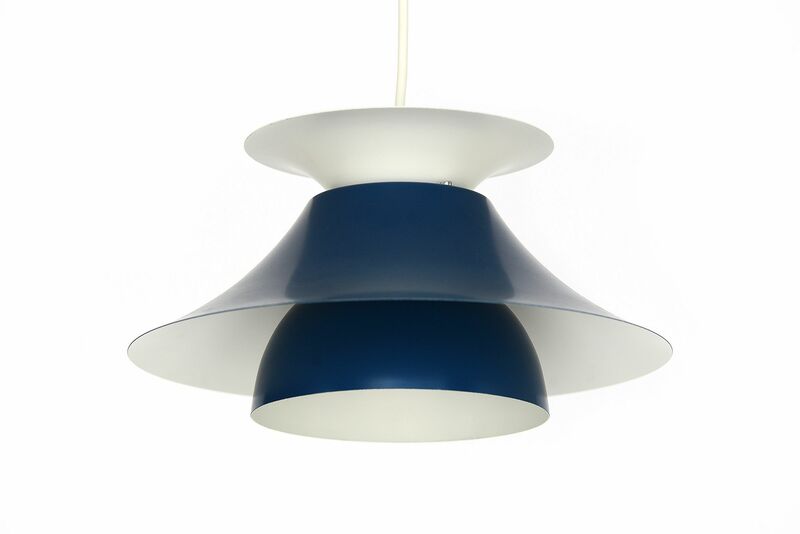 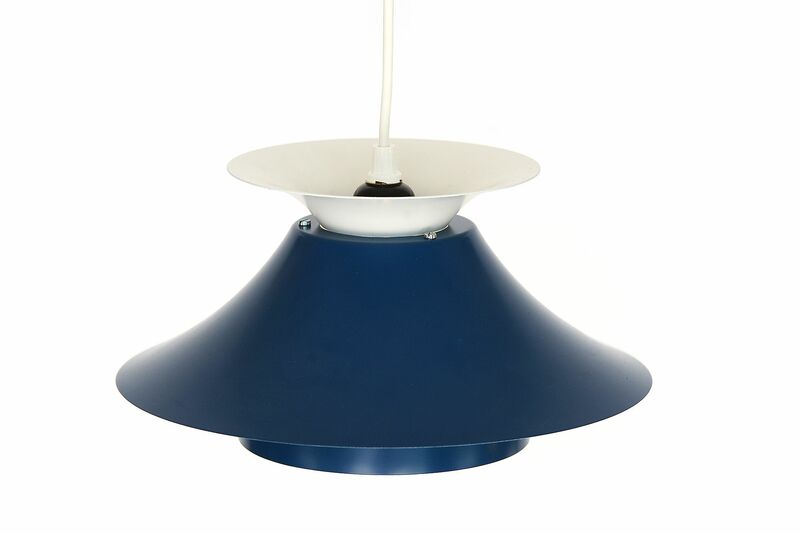 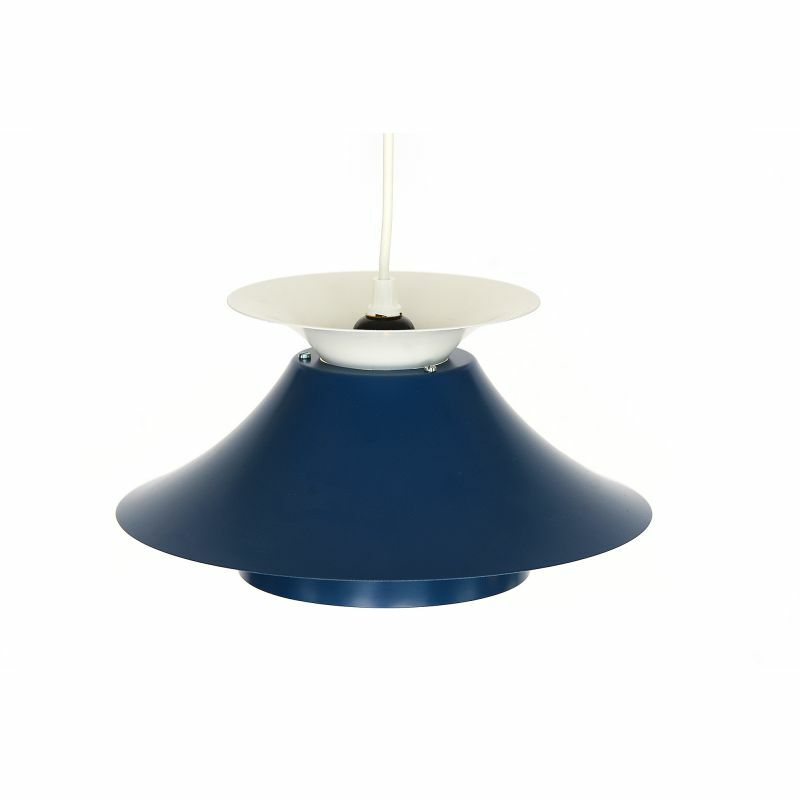 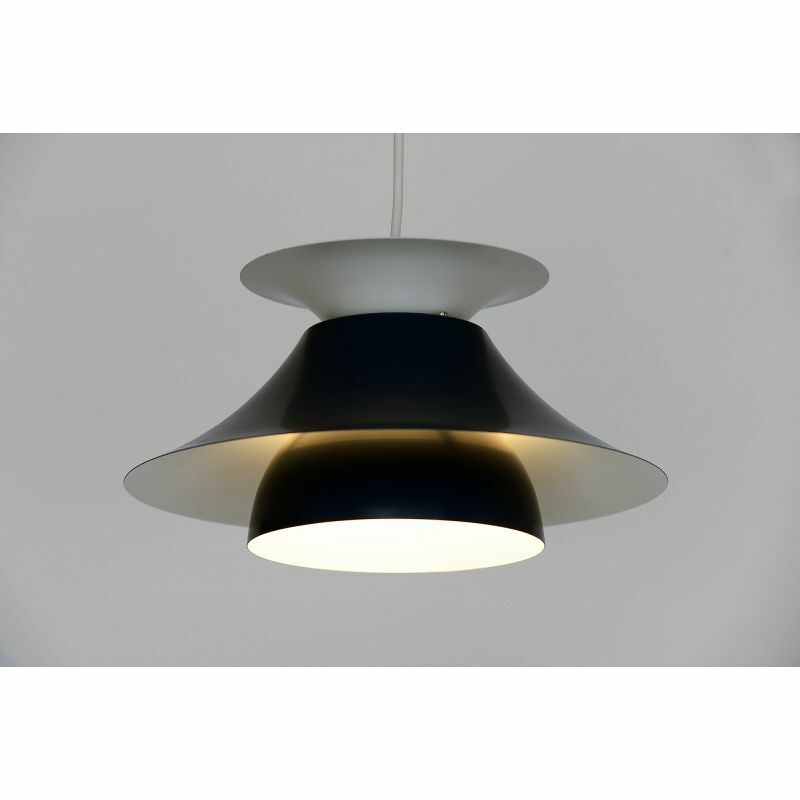 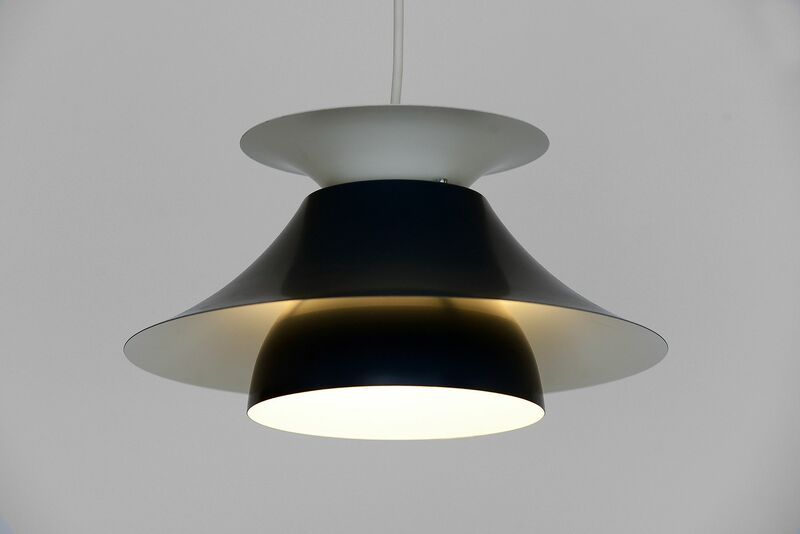 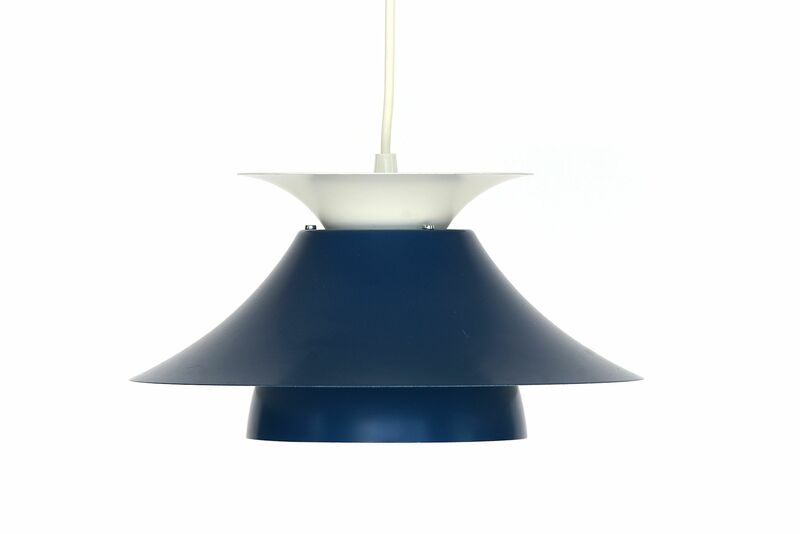 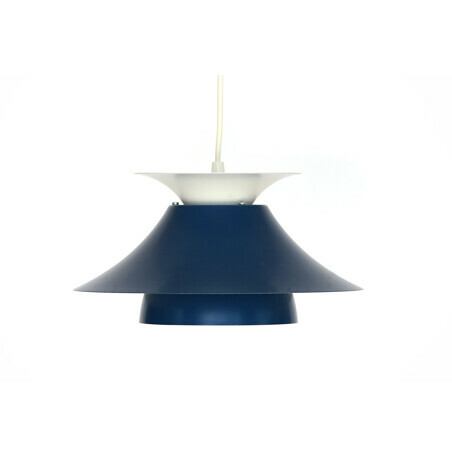 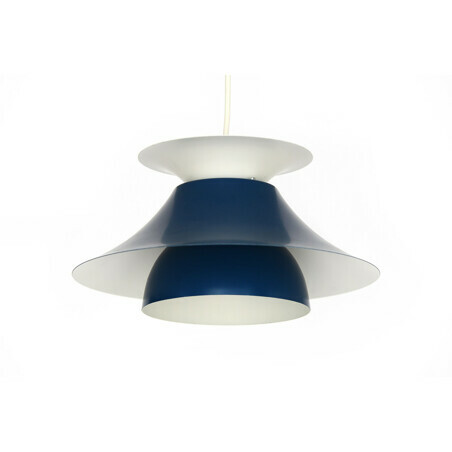 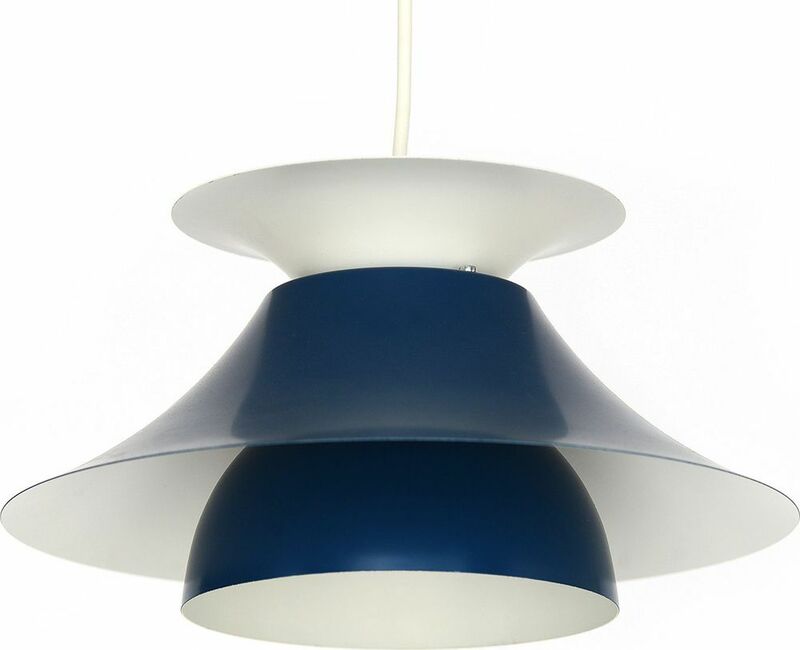 Deep blue and white metal pendant light from Danish producer Hamalux. 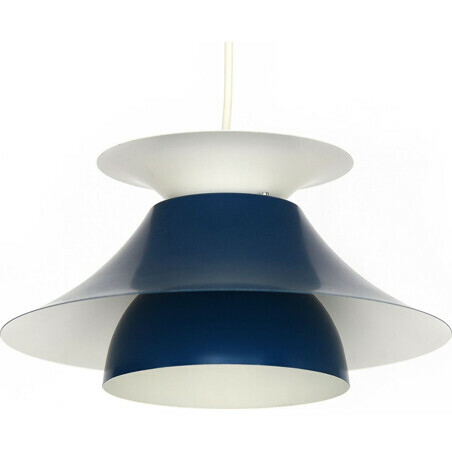 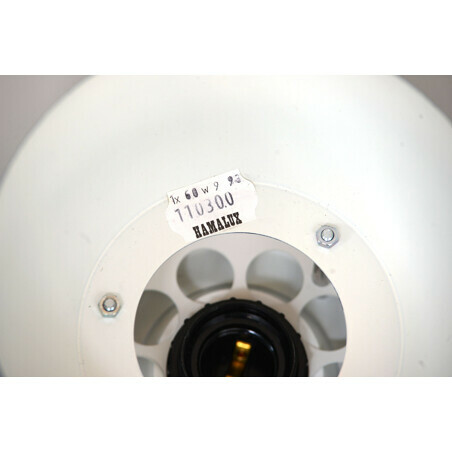 It comes from an old stock at a wholesale company in Copenhagen, produced in the 70s and only unboxed for these photos. 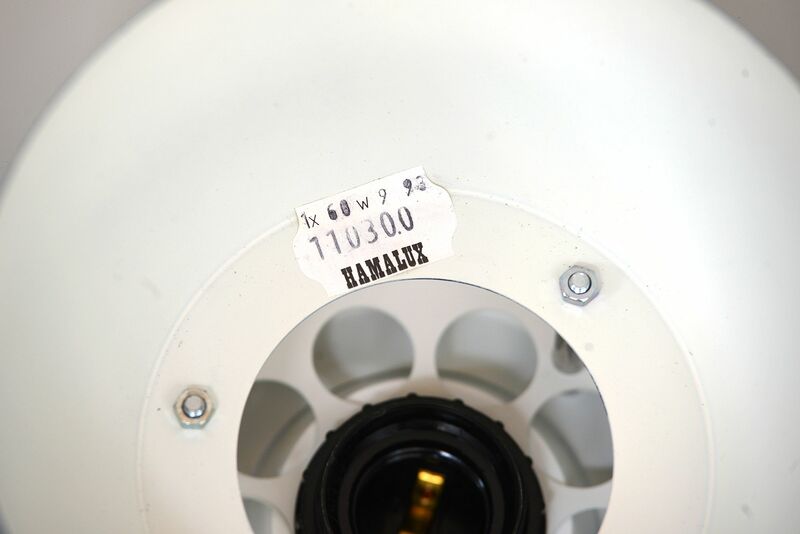 The lamp has been unused.